Instagram is the fastest growing photo sharing site and now it have more than 100 million monthly active users, along with 400 million monthly and 75 million daily users. Due to its growing popularity of many of the top brands are investing some portion of their digital marketing budget on Instagram marketing. So, it's good news for those who have good number of followers on Instagram. This opportunity will help Influencers to earn some extra bucks. And if you have millions of followers than you can earn even more from big advertisers. The benefit of earning from Instagram is you will content to promote + you will get new followers & more popularity. As an Influencer I love to promote brands just because I get to know what are the future products of brands and when they are launching them. And the most precious gift from brands is they will follow you if you promote their brand seriously. This gift is precious for me because I think one brand follower is equal to 1000+ public followers. There are many top brands who are following me on twitter and Instagram. Today in this article you will learn 5 easy ways of earning money from Instagram. You can earn quick bucks for just posting images on Instagram. But this is not so easy, you need to have thousands of followers which are active and are relevant to your niche. Follow below steps to increase your follower base. Method 1: follow all of your friends on Instagram. Most probably all of your friends will follow you back. Method 2: Start Following your mutual friends. Mutual friends are those who are friends of your friends. There is 65% chance that mutual friends follows you back. Method 3: Fill out your bio with relevant information about what you like and what you do. This will attract more followers. Say if you are a fashion blogger you will stuff keywords related to fashion and all who loves fashion will follow you for your posts. Method 4: Post relevant content according to your profile like pictures of dishes if you are a food blogger or you have a restaurant. This will give you more shares and likes which will increase your followers in easy way. Method 5: Use hashtag in your posts and always respond to your followers. This will make your followers feel happy and engaging and they will do more sharing of your content. Wow! Now you have good number of followers. 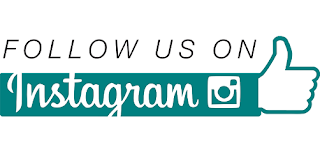 Good here means more than 2500 followers and you are ready to earn money from Instagram. It totally depends on what you are doing on Instagram. I mean you are promoting others or doing affiliate sales or just growing your online business. If you have a business than you will earn more than other methods. Or if you are promoting others than it totally depends on the number of followers you have and the number of advertisers you are getting. Blogmint is a platform where brands connects with influencers. Here brands get influencers who will promote brands and influencers get advertisers to support their living. At blogmint you will get best price for your work whether you are brand or influencer. The best part of blogmint is that you can negotiate for a blog , for a tweet or for a instagram picture. Blogmint is the first platform that is providing you the opportunity to monetize your instagram account. If you have good following base then you can charge as much as you want. I know many fashion instagrammers who are charging 1500 to 2000 for a single instagram picture. This is the highest per picture price you can get in the market. For few hundreds followers you can charge 100 to 500 per insta but still it will be great if you have many quality followers. At blogmint payment is cleared as soon as possible and it may take 15 days as maximum. So the payment is usually done faster. There is also no minimum payment amount required. Feel free to join blogmint if you want to earn money with ease. Affiliate marketing as you know is the powerful source of earning money but it needs very hard work and targeted audience. If you have a good follower base and all of them belongs to a unique niche then you can start doing affiliate marketing. Suppose you are a seo expert and your following are learning seo. Then you can do affiliate marketing with your Instagram and conversion will be high as your followers are related to your niche. Try to sell those products which you think will convert more. For example if you are tech seo and blogging then you can promote Web hosting packages. I bet this will convert high. You can't sell kitchen item to your blogger audience easily. Affiliate marketing is all about conversion rates. Higher the conversion higher you will earn. Example: this blog focuses on bloggers and their queries. We promote bluehost Web hosting which is the best in this industry. 99.9% up time and easy to use cpanel makes this Web host the best in its class. As all of our audience have blogs and websites we get higher conversions with blue host products. You can also start promoting right product to earn more. At Instagram you can't add backlinks in photos but you can add links in your bio as your website. So to earn from Instagram people generally divert traffic to their bio and then to their affiliate product. If you want to give links you can add them in caption but remember those links will not convert in hyperlinks. If you want to start earning from affiliate marketing then you can join below websites. Ever tried to become a brand ambassador? If not then you can become brand ambassador because of your Instagram account. These days a fashion Instagrammer can easily become brand ambassador for a fashion brand easily if he/ she have good following base. You can earn as much as you can think. But it's not easy to get a brand to promote as a brand ambassador. You have to work hard with your followers. You have to be active, posting reply to your followers and posting viral Instagram pictures will give you boost. I hope you will get your chance to be brand ambassador. If you are a photographer and can click high quality viral photos then you can earn by selling your photos at Instagram. This way you can earn a minimum of 19$ for a single photo. So if you manage to sell 5 photos in a day you can earn 95$ easily and everyday. Here are few sites that may help you in selling your photos at higher prices. Are you a businessman? Or you have a product or service to promote? Then you can increase your business to 200% easily. Just create viral photos and share them in your Instagram account and see the increase in your business revenue. Finally if you can't make money with above step the you should try out this way to make money from your Instagram. But you need to have quality followers if you want to sell your account. Try below sites and get as much money you can. Thanks for posting the info about Instagram Marketing. I just want to let you know that I have checked out your site and I found it very interesting and informative.